My Spring update is continuing as I have recently mixed up the 'cheek' products in my day to day routine to incorporate some more Spring like colours and finishes. Gotta love a coral blush and liquid highlight at this time of year haven't you? I have to confess I do tend to be quite samey when it comes to cheek options so I'm looking forward to getting to grips with some different products as the weather warms up... it's at least trying here in England, sort of. 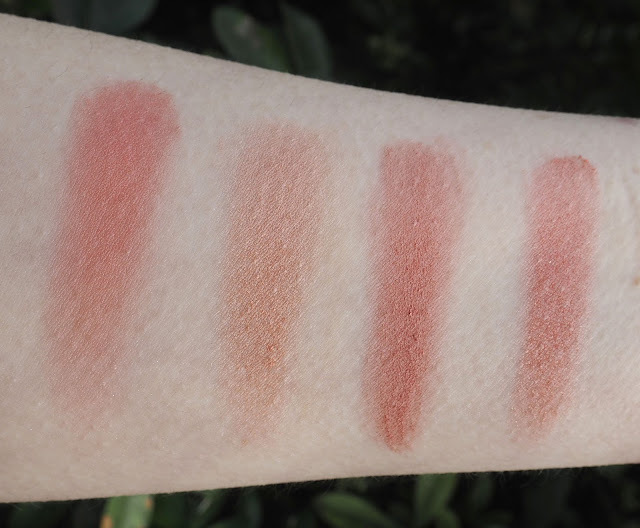 Let's start with an incredibly pretty blush, the Clinique Cheek Pops have such a gorgeous flower design that you almost don't want to mess it up by using it. I have the shade Melon Pop which is an orange shade, it does actually remind me a little of the shade of a water melon (the colour it is inside, not the green skin!! haha). I feel this shade suits my fair skin tone well and definitely adds a nice pop of colour. 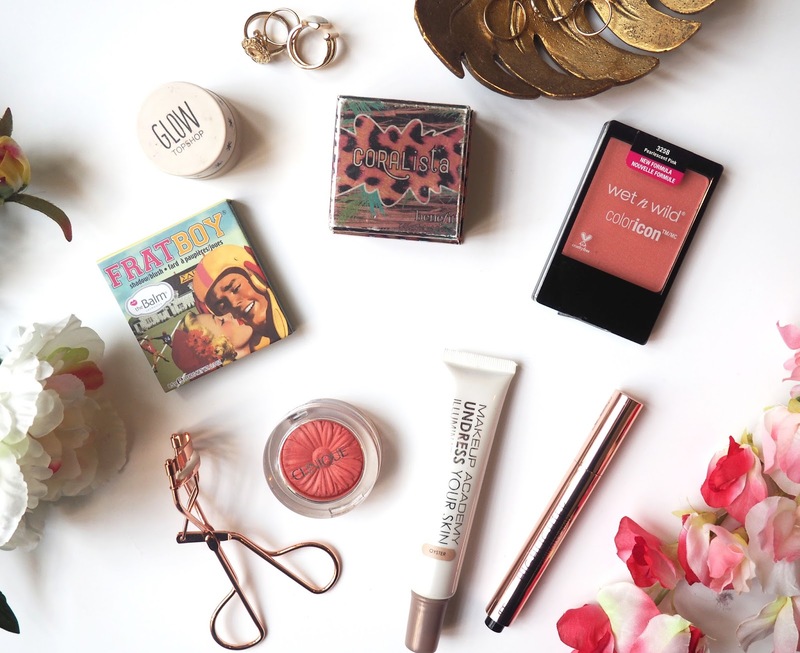 Benefit Coralista is another beaut I have brought out. This is an oldie but a goodie isn't it? As you can seen, mine is a little worse for wear but I just can't part with it. I love that this is quite sheer, with a gold shimmer running throughout. Its one you could just sweep over your cheeks for a subtle glow or build up a little more to bring out the coral shade. The next two are incredibly similar but I wanted to show you both as one is more of a budget alternative. The Balm Fratboy Blush has got to be one of the things the brand is famous for and I would say its sat perfectly between 'peach' and 'pink'. I can't mention this blush without mentioning how cute the packaging is, I'll admit 'Im not completely sure what a 'Fratboy' is but I can still appreciate the look of it (LOL). 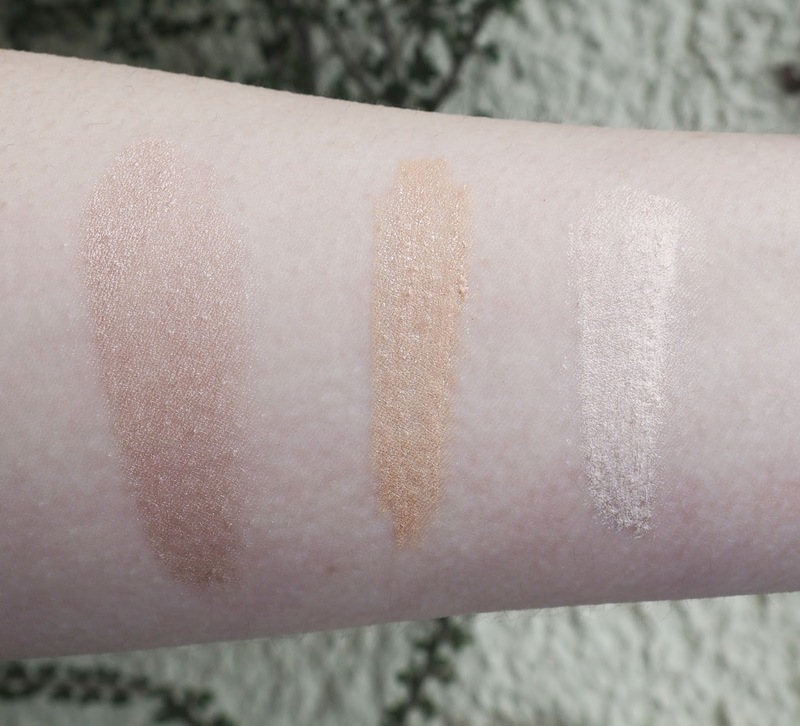 So, the 'dupe' I have found for Fratboy is Wet'N'Wild Pearlescent Pink, now I know in the pans they look nothing a like but when I swatched them on my arm and saw them side by side I noticed there were a few similarities. Pearlescent Pink is a lot more, well, pearly! It has a shimmer that Fratboy doesn't have but the actual colour itself isn't a million miles away. Yes, you could argue all these blushes are along a similar vein but hey, I have a type clearly! I like the Wet'N'Wild blushes, they're bargainous but kind of tricky to get hold of here annoyingly. I picked out three cream/ liquid highlights because theres just something about these in the warmer months, they're light to wear and give a natural finish to your skin. No powdery faces here! The Make Up Academy Undress Your Skin Illuminating Liquid Glow is Oyster is a light golden shade that would look perfect on tanned skin. I always find that a little of these liquid illuminators go a long way so a tube of this should last you a long time. I prefer to blend this in with a damp Beauty Blender as I find it really blends out nicely then. The PS Highlighter Illuminates Skin is handy because its in pen form so you click the button on the bottom and some of the product comes up through the brush. There is a slight knack to using this as it does have some glitter in so I like to blend it in quite quickly or the glitter settles on the skin where its been dotted on. Once you've mastered that trick the finish is very pretty and subtle so you get that natural look. I have started to become a little obsessed with the Topshop Glow Highlighter in Polished all over again. I remember using this a fair bit when I first got it but you know how it is, you try out so many other things that you forget about ones you love *sad face*. But not to worry because I am back to dotting and blending this all over the cheekbones, brow bones, cupids bow like there is no tomorrow. 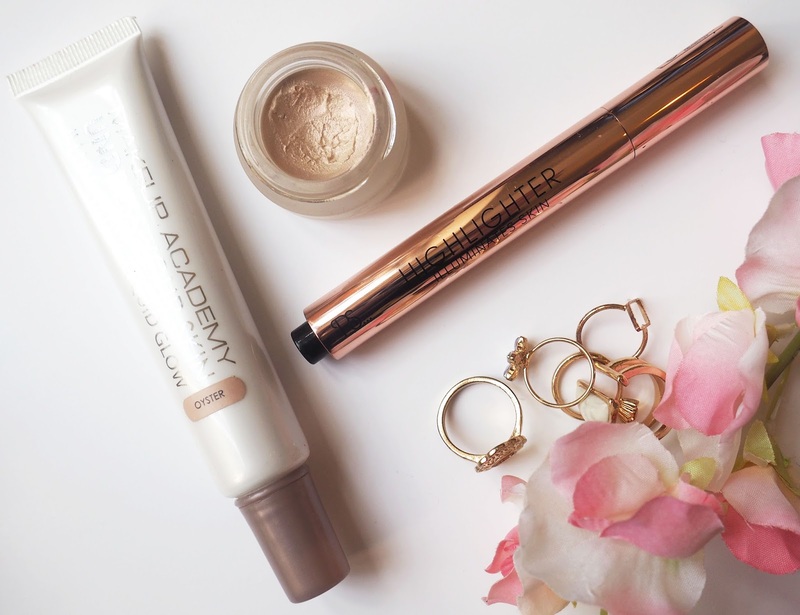 Of the liquid highlighters I've mentioned this is my favourite, its probably more of a cream than a liquid though. It has much more of a white colour to it with a pink undertone which I feel is a bit more noticeable, so thats probably why its my fave! Got to love a strong highlight! 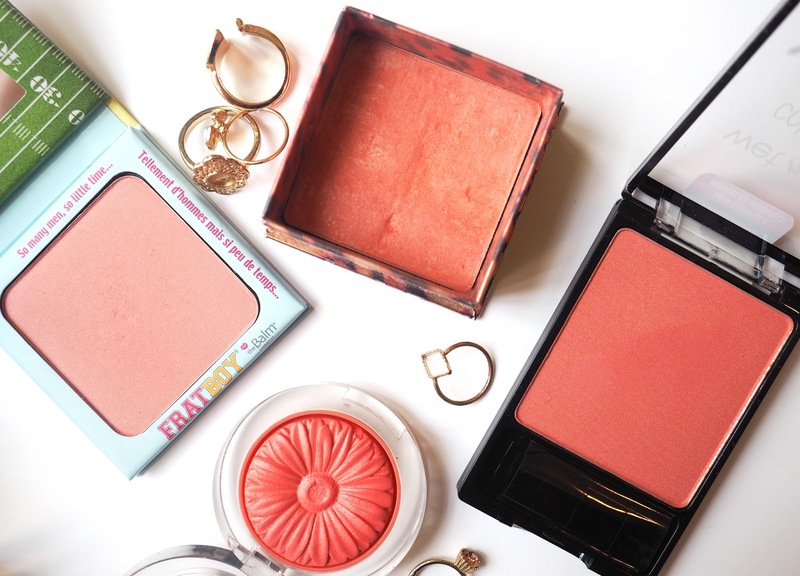 Which blushers and highlights will be getting you through the summer? Gorgeous post! I love bringing out all my pretty pastel blushes at this time of year.